The African Union is gathered in Ethiopia to find a way to deal with the displacement crisis the continent is facing. Addis Ababa, Ethiopia - Leaders from across the continent are in the Ethiopian capital, Addis Ababa to attend an African Union (AU) summit, hoping to find a way to deal with the displacement crisis the continent is facing. The mood in the city is upbeat: Flags of all 55 AU member states are fixed to the street lights, and hotels and conference halls are fully booked. In the city's Janmeda area - a 15-minute drive from the AU headquarters - around 50 people are gathered in a compound behind a large white-painted gate manned by security guards. They are refugees from more than 15 countries. The compound is run by a charity, Jesuit Refugee Service, and they have gathered to receive food and attend English classes. The refugees are unaware of the summit and why the leaders are gathered in the city. 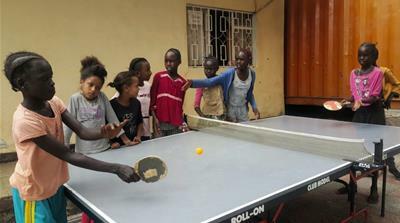 "I don't know what is happening next door, how can I know what is happening somewhere else?," Haitham Mahi, a refugee from Yemen, told Al Jazeera, while a group of young men played table tennis nearby. Mahdi is one of 20,000 refugees registered in the city, according to the charity, and has been here for seven months after escaping the conflict in Yemen. "I came from Sanaa. I worked for an oil company. Before the conflict, our lives were very good. Now, it's very difficult. I prefer to be in my country but it is too dangerous," said the father-of-two. Mahdi, 37, volunteers with different charities in the city helping newly-arrived Yemeni refugees find their feet. Not far from where Mahdi was sitting, 20-year-old Aisha Ashuni is shouting at a group of young men standing next to her. They are playing netball and she is the captain. "I moved from Blue Nile in Sudan seven years ago because of ethnic conflict," said the soft-spoken Asuni. 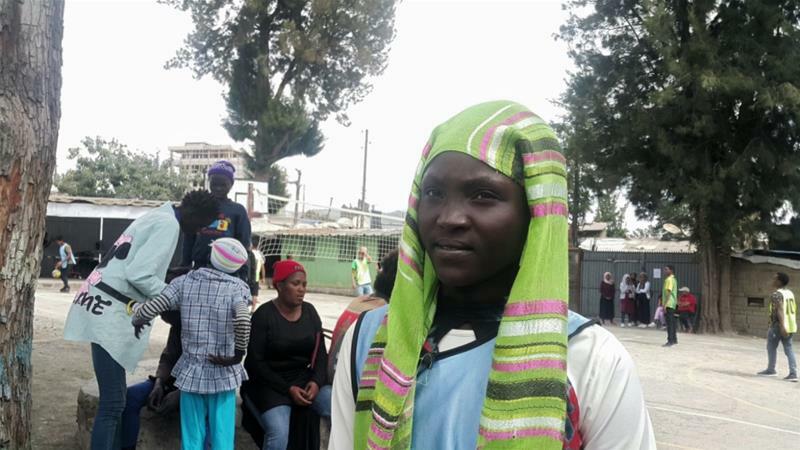 "I have been in Addis Ababa for three years now. I have no future here. I'm hoping I will be resettled somewhere else because here I can't do anything or even go to school," she added. 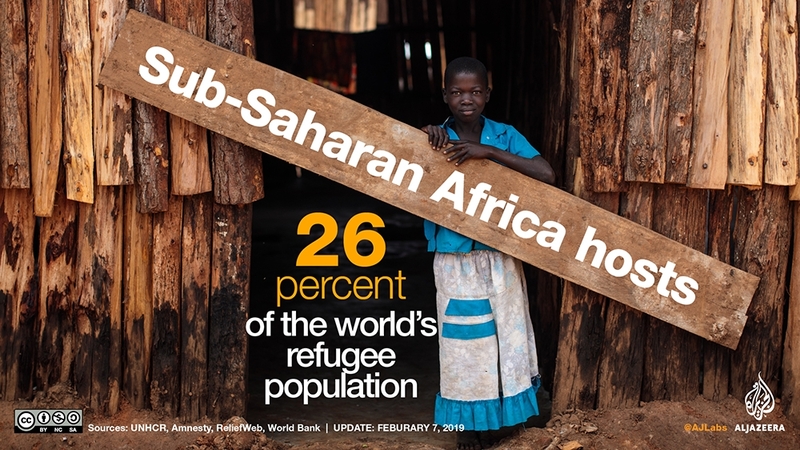 Africa has the second highest number of displaced persons in the world, according to the United Nations Economic Commission for Africa (UNECA). That figure has recently been rising because of ongoing crises in Central African Republic, South Sudan, Somalia, the Democratic Republic of the Congo and Burundi. The continent hosts about 37 percent of the world's 19.6 million refugees and 39.1 million internally displaced people, according to UNECA. "If we are to put the numbers into perspective, 22 million refugees represent twice the population of Tunisia. It is close to the population of Ivory Coast," said Vera Songwe, UN under-secretary-general and executive secretary of UNECA, in her opening remarks at the summit on Thursday. "The GDP of Tunisia today is about $40bn, twice that is $80bn," Songwe added. Human rights activists say the AU needs to take steps to ensure refugees become part of the mainstream economy in host countries. 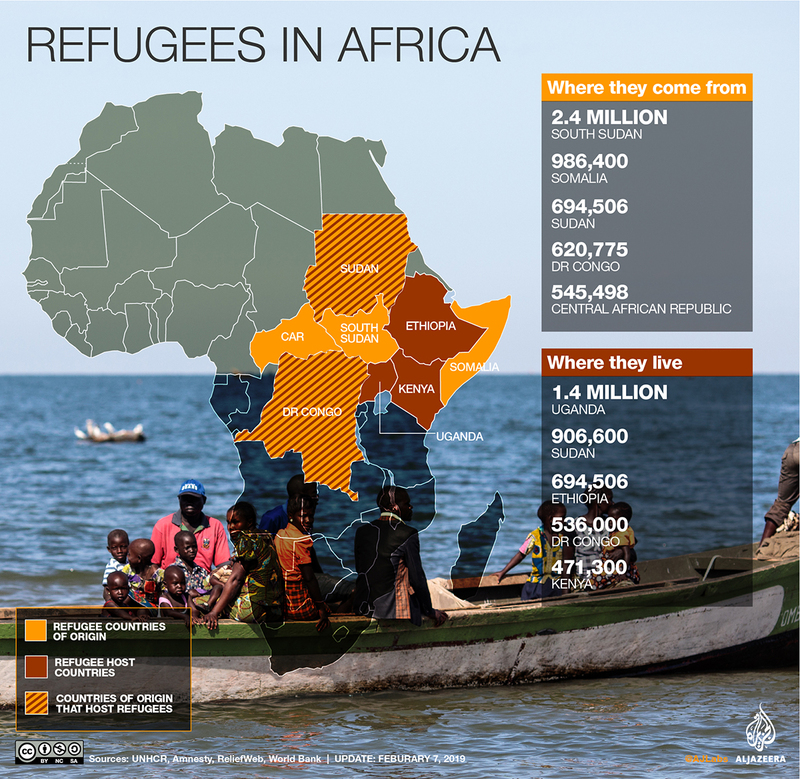 "Africa needs to do better in integrating refugees and allowing them to work," said Achieng Akena, executive director of the Pan African Citizens Network, a civil society group that campaigns for democracy and human rights in Africa. "Refugees, like other people, need to live a life of dignity. 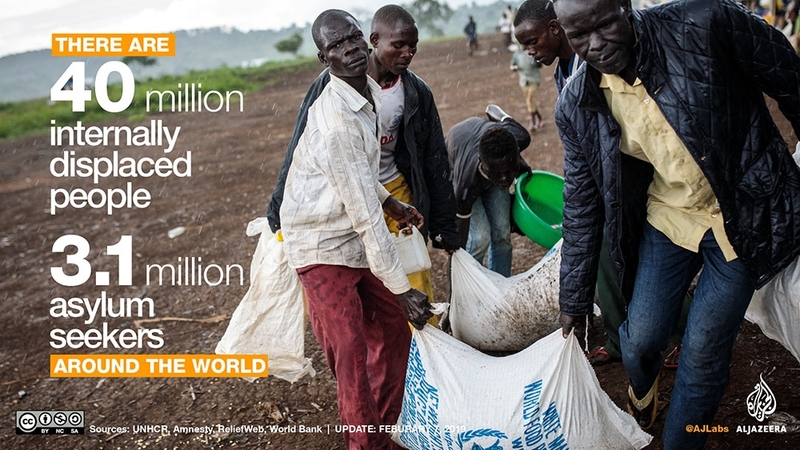 If refugees work, they can contribute to the economy of the host country. Right now, they are just seen as a burden." At least one person is forcibly displaced every two seconds around the world as a result of conflict or persecution, according to the UNHCR. Faki Mahamat, the chairperson of the pan-African body, said the AU was looking "to find sustainable responses to the prevalent issue of forced displacement". "We must act more effectively on conflicts and crises whose outbreak or persistence is the primary cause of forced displacement of persons," Mahamat said during his speech to the summit. "The objective of our leaders to rid the continent of the scourge of armed conflict by 2020 is certainly ambitious, but its realisation is not impossible if there is political will," he added. For the refugees gathered in Janmeda, they can only hope and pray that the leaders gathered so close to them can bring the conflicts in their home countries to an end. "I want to go back home and finish my studies. Then I want to become a politician so I can make a difference in my country," said Asuni, the 20-year-old Sudanese refugee.